"Joe's voice is an absolute treasure!" "There's simply no better act in town!" "His range and style is just incredible!" "No one else would do for our wedding!" "Down to earth AND crazy talented!" Joe's been singing and playing piano since age 5. His biggest influences were Ronnie Van Zandt, Otis Redding, Phil Anselmo, and Zakk Wylde. Embracing everything from Frank Sinatra to Metallica, Joe's true calling came when he was asked to be the front man for emerging rock band Brand New Sin. After three albums and an EP, they headlined across North America & the UK, opening for Motorhead, Corrosion of Conformity and Type O Negative! Their music was featured in the movie "School of Rock", on MTV, ESPN, and even the WWE, when THE BIG SHOW tapped Joe's soaring vocals for his entrance song, "Crank It Up." Since 2008, he's played over 3000 shows all over Upstate New York as a solo act, and continues to write and collaborate with his old bandmates and a new band, Elephant Mountain. He still performs occasionally at the Lost Horizon, has won the award for Best Male Vocalist in CNY for seven years straight, and was recently invited to audtion for NBC's 'The Voice'. In 2016, Joe expanded into private events, and in 2018, alongside DJ & MC Carlo Naples, they launched their NEW brand, bringing to fans and couples the complete modern reception experience! Upstate N.Y. born and bred! Southern rock influenced... World toured! Now more than ever, he's so much more than JUST JOE! Read an article about Joe here. Or, meet his partner here. Hosted by Just Joe & Co.
• Plus Lighting, Photo Booth + More! • EVEN VIDEO COVERAGE & SONGWRITING OPTIONS! • PLUS FLOWERS, CANDY, A NOTE & MORE! Every song Joe has ever released is available on your favorite platform, with NEW RELEASES and featured covers on Facebook weekly! Wanna order merch? Click here. 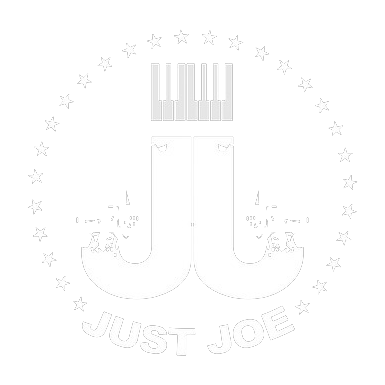 Original Just Joe CD releases, T-shirts, Caps, and more! BOOK JOE FOR YOUR VENUE! Absolutely! While Joe reserves weekends from April through November for weddings, other private events can be booked at a discount within 60 days of any available date! Call for a quote! And I can hire you for my wedding?! You sure can! 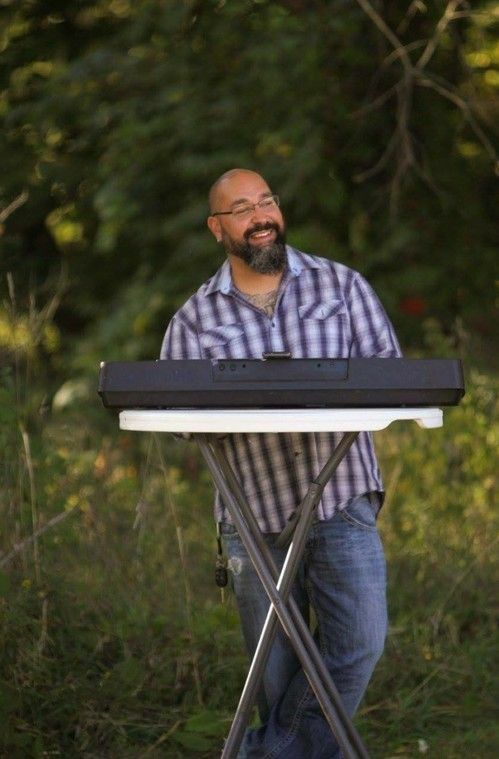 Joe's partner, Carlo, organizes all the details, arranges setup and handles recorded music + announcements. 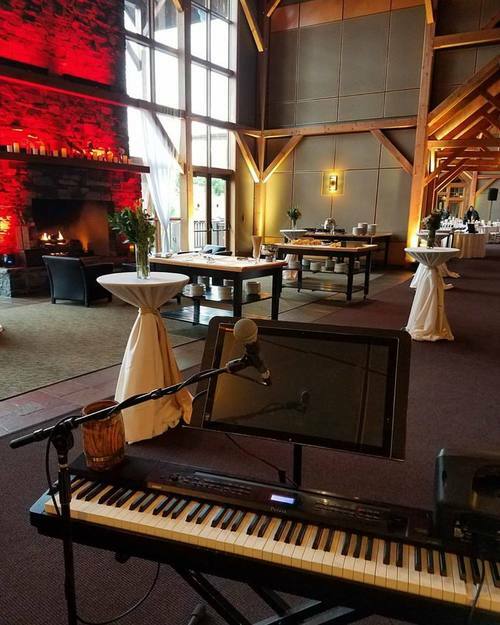 As an add-on, Joe can attend your wedding and play LIVE! Do your shows have a cover? Most venues compensate Joe in advance or have a sponsor. Joe does however graciously accept tips, which go toward his daughter's college fund. Scroll down to donate! 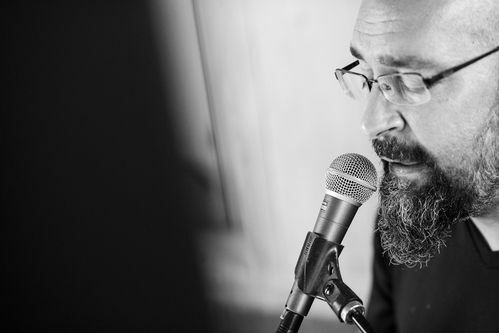 Joe organizes a surprise visit to your loved one, rehearsing the song you select and dropping in on them unexpectedly with his keyboard in hand to serenade them at home, work, school --anywhere-- for a birthday, anniversary or just because! Many are the blessings and challenges of being a working musician. From the outside, it looks like financial freedom, not having to work for the man, and a just a whole lot of fun. But in reality, nothing could be further from the truth! Working for yourself, and in the medium of music no less, means little to no time for family, for socializing, even yourself! Between rehearsing, promoting, networking and performing, it often means 16 hour days, 7 days a week, and delegating responsibilities to my partner so I can spend time with my daughter. None of it is possible without support, especially from my fans and family, that let me do what I love and make a living doing it. 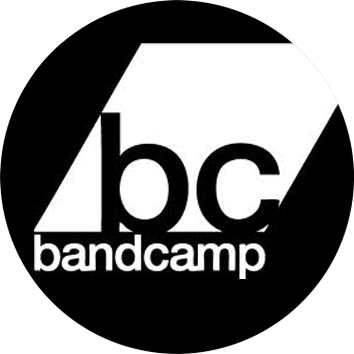 So, support local music! We make up the soundtrack to your life. And you do the same for ours! All proceeds go directly toward Joe's Daughter's College Fund. Thank you for your generosity!